The users of Facebook, one of the widest social networks, got a chance to try real-money games within their network account, as a deal was made between Facebook and 888 company providing online gambling solutions worldwide. Real-money casino, slot machines and bingo will be among the gaming facilities offered by 888 to the users of Facebook social network in the UK. Bingo Appy will become the first application launched. It will include the casino with different instant games and popular slots. “888 Public Limited Company has realized all the possibilities of social gaming. 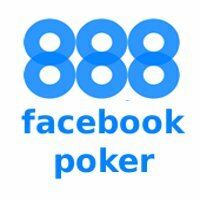 Thanks to the games for fun present at Facebook, 888 has already gained its audience and now is happy to please this audience with the possibility to gamble real-money games. The agreement with Facebook opened the way to combine social gaming with real-money games within one social network account,” commented Itai Frieberger, COO of 888.